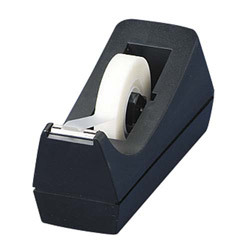 Economical, desktop tape dispenser is designed for standard 1/2" or 3/4" by 36 yard rolls. Made of sturdy high-impact plastic with weighted, nonskid base. Tape not included. Black Tape Dispensers from Business Source! 26780 In Stock today.